We were delighted to be invited to take part in ‘Les Journees Particulares,’ held by the LVMH Group at Hennessy HQ on the banks of the Charente River. June the 15th and 16th saw the cognac giant open its doors to reveal some of its innermost secrets to the public for the very first time. And although we’ve visited Hennessy Cognac several times in the past, this time was extra special as it gave us the chance to explore three of their ‘secret places,’ which have never been exposed to the eyes of anyone other than staff and family before. So it was with bubbling excitement that we prepared ourselves to visit The Grand Tasting Bureau, The Chai Founder and The Old Bottling Place. First on the agenda was a visit to The Grand Tasting Bureau – the tasting room – where each morning the eight members of the tasting committee assemble to taste, create and make decisions about various different eaux-de-vies. The Hennessy expert, Mr Jean Pierre Vidal, said, “Every morning at 11:00, eight tasting committee members arrive to commence their working day. The current master blender, Mr Filioux, is the seventh generation of a family who’ve held the position of chief master blender since the year 1802. Stop number two on our tour was the secret cellar, The Chai Founder. This is the place where some of Hennessy’s oldest and unique eaux-de-vies are stored. 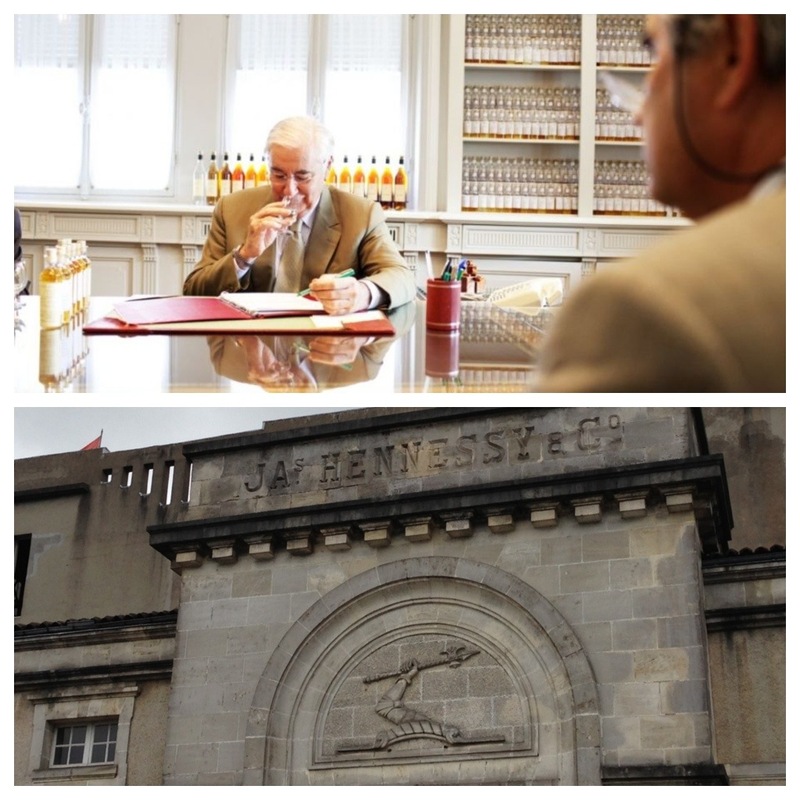 The oldest here dates to 1800, and the whole collection housed here is a walk through the ages of Hennessy. It’s a true reflection of the work of seven generations of the Fillioux Family. Last but not least is our discovery of The Old Bottling Place. Located along the banks of the Charente River, here we were looked after by Mr Cholet, a gentlemen who’s worked for Hennessy for more than 30 years.